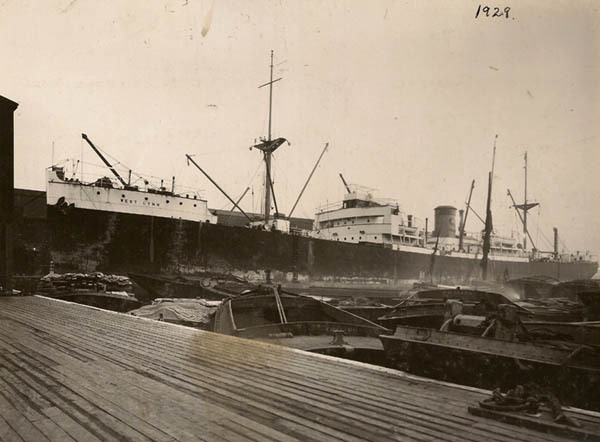 West Lynn 1929 in London Docks. Note the Thames barges. Copyright © Oliver Lindsay.